Covenant Relationships: Whose Prayer does God Answer? I watched the game between Nigeria and Ghana and one thing that stuck was how the two teams were bent over in prayers during all the intervals they had. They both needed the win desperately and I wondered in my mind whose prayers God would answer. It is same thing as when there are thousand s of interviewees in a room and only one person is to be picked at the end of the day. No doubt, everyone would be saying one form of prayer or the other. With so many supplications rising up to Heaven, how does God determine whose own should be answered/can the heart of God be known? Prayer has been known to be the most effective way of communication with God; it entails worship, praise giving and more. 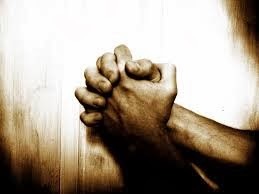 Prayer has a structure, the book of James 4 says ‘Ye ask and receive not because ye ask amiss’. This means there is a wrong and right way to pray. Take the Sadducees and Pharisees in the bible for instance, Jesus pointed out that their mode of praying was wrong. While I am tempted to dwell on all the different ways we could pray, I don’t want to shift the focus of this post from whose prayers God answers. Is the world created so that some things cannot be changed even with the power of prayer? When we pray, what goes through our minds?How many of us pray bearing at the back of our minds that God’s will is what really matters. When Jesus was about to be crucified, he prayed wishing the cup passes over him but he also said for God’s will to be done. However, no matter what happens we have to always remember that God’s thoughts towards us are always good and perfect. I hope you know I am not trying to undermine the position of faith and expectation, what I am trying to say is for us to pray bearing in mind that whatever our human expectations might be that God’s will is what is most important. If we stay in sync with his spirit, we would understand how this works. We also must ask with no selfish thoughts. The intentions behind our prayers must always be good. If I pray for someone to get hurt, my prayers would definitely not be answered because my intentions are bad. On the whole, if we keep God’s commandments and seek him in truth, we would know his heart and that way our prayers to him will never go unanswered.